Martin Moyden started out life as a Shropshire dairy farmer, but a sideline in cheesemaking soon became a full-blown obsession to the extent that he and his wife Beth gave up farming altogether to focus solely on cheese. “Cheese-making has taken over my life and I felt I was stretching myself too far between the farm and the cheese-making,” Martin told me last year, adding that it was a “heart-wrenching decision” to leave farming. 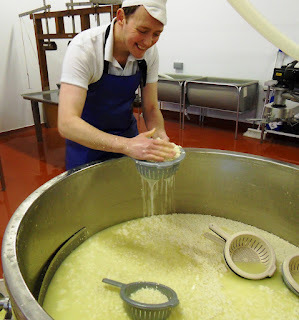 It’s a good job for cheese lovers that he did make the move because Mr Moyden’s Handmade Cheese is now able to produce much greater quantities and is starting to gain recognition beyond the wild West Midlands. 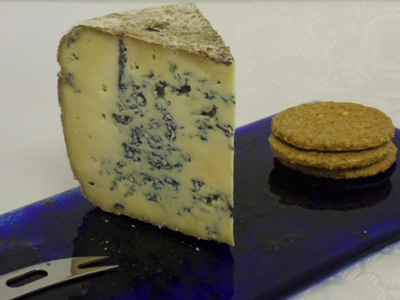 Based at an enterprise centre in Shropshire, the company sources unpasteurised cows’ milk from local farms and makes four main cheeses all named after local places: Blue Wrekin, White Wrekin, Newport and smoked Newport 1665. 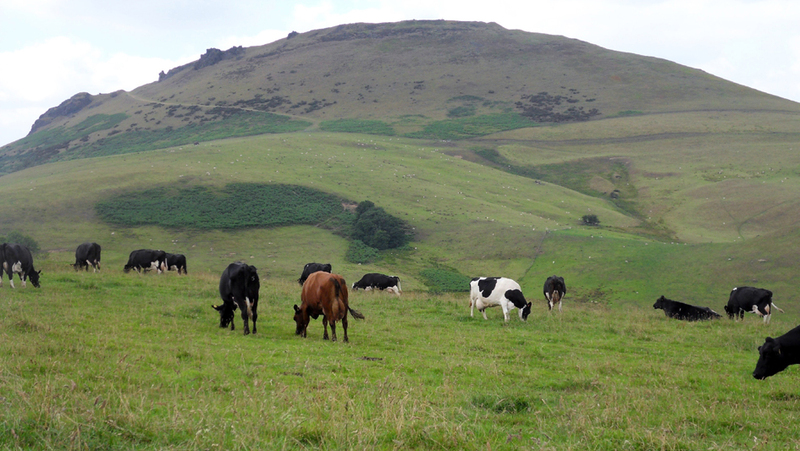 The company is experimenting with a brie and a washed rind cheese, and has just launched a new Caerphilly-style cheese called Caer Caradoc after a nearby hill, where the cows that provide the milk graze (above). Admittedly it’s not a match for the mighty Gorwydd Caerphilly at this early stage, but it has a pleasant crumbly texture and lemony tang. Their best cheese (in the Cheese Chap’s humble opinion) is Wrekin Blue. It’s quite spicy with mineral notes, but it’s all wrapped up in a big blanket of creaminess. Mr Moyden is definitely a name to look out for in the future. A Neal's Yard tasting: save the cheeses!